Recently I worked with Tate Collective to co-produce and write online content and film video content for a collaboration with MoMA Teens. 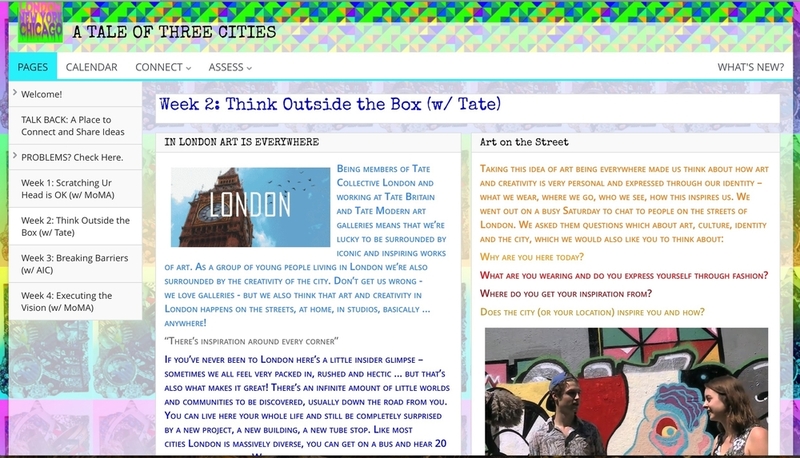 ‘A Tale of Three Cities’ was a free all-access online art course, exploring the artistic and cultural scenes in London with Tate Collective, Chicago with Art Institute of Chicago and New York with MoMA Teens. We made some videos with London based filmmakers at Reel Nice to share stories about London’s diverse cultural happenings. We met and interviewed skaters at the Southbank, graf artists in Waterloo, singers in Shoreditch and got inspired by artists in their studios.